iMo eye9 has just unveiled a new mini 9 inch touchscreen monitor complete with 1.3 megapixel rotating webcam. Allowing you to use your monitor more like a tablet is you feel the need for a side kick display. The iMo eye9 mini touch screen monitor connects via a USB connection and has a 1024 x 600 resolution and is resistive rather than capacitive. 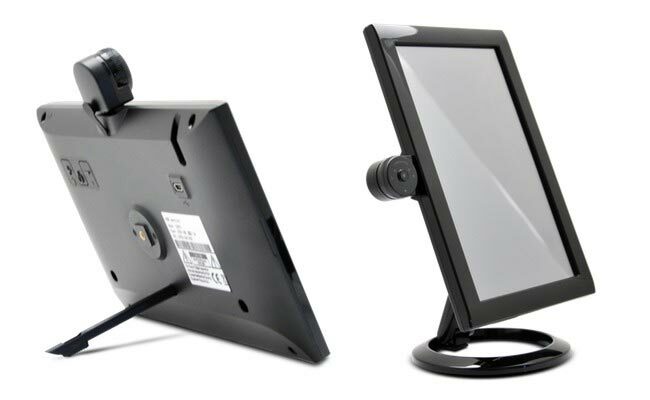 The iMo eye9 USB display comes complete with a desk stand and kick stand which is inserted into the back of the display. There is also a suction cup mount stand as weel on offer for another $40.